In 2016, a DfID project known as Partnership to Engage, Reform and Learn (PERL) commenced work on the budgetary process. The project identified the blockages to effective budgeting and public expenditure to include lack of transparency in the budget process; poor prioritization; frivolous expenditure and poor oversight. Its work has gone beyond the focus on sectoral analysis and frivolous expenditure to deal with issues of transparency and accountability; equity, geography, demography and structure of the budget. In particular, it has focused on equity issues and service wide votes and key areas that can bring fundamental changes to the budgeting process in Nigeria. It has facilitated consistent and rigorous analysis of the budget. It also facilitated the National Budget Group made up of Centre for Democracy and Development (CDD), Centre for Social Justice (CSJ), African Centre for Leadership, Strategy & Development (Centre LSD), Public Private Development Centre (PPDC), Basic Rights, BudgIT, Civil Society Action Coalition of Education for All (CSACEFA) and Nigeria Labour Congress (NLC). Many other partners active in the loose network facilitated by PERL include PMP, Jigawa; Kano Budget Working Group; Coalition of Civil Society in Niger; Coalition of Associations for Leadership, Peace, Empowerment and Development (CALPED); Coalition of Association in Kaduna State, CODE, NOA; Premium Times; Advocacy Partnership in Yobe State and Justice Development and Peace Commission (JDPC). Since return to civil rule in 1999, citizens groups have engaged the budget appropriation process. This usually occurs after the presentation of the budget proposal to the National Assembly by the Executive. Partly as a result of advocacy by citizens groups, the first National Budget Hearing was held in February, 2017. By February, 2018, there was no sign of the second public hearing and citizens groups intensified advocacy and the second National Budget Hearing was held from 27th -28th March, 2018. Several citizens groups have participated in the National Budget hearings including JDPC, African Centre for Entrepreneurship, I-PAC, PLAC, CSJ, Centre for Democracy and Development (CDD), Advocates for Human Rights, YIAGA, Global Agenda, CSACEFA, African Centre for Leadership, Strategy & Development (Centre LSD), Price Water House Coppers, SDN, GLOCHEED, Citizens Rights Concern (CRC), PMP. At the second public hearing, the leadership of the National Assembly announced that public hearing has been institutionalized and will be held every year. Fourthly, geographical analysis of the budget indicates that there is still no systematic way to ensure fairness and equity e.g. analysis of the proposed budget for ministry of Works, Power and Housing capital budgets indicates that 17 percent was allocated to FCT, 7 % to North East, 20 % to North West, 6 percent to North Central, 7 Percent to South East, 12 Percent to South West and 31 percent to South South. In addition, recurrent expenditure continues to increase, and capital expenditure continues to decrease. In the 2019 proposed budget, only 23.02 percent is allocated to capital expenditure. There is a need to increase capital allocation in the budget. This is crucial especially as part of this percentage is administrative capital comprising of budget for monitoring and evaluation; site visits and workshops. Meanwhile, capital expenditure is crucial for the development of any country as it is dedicated to the creation of new assets that leads to economic development. Timeliness of the passage of the budget has been a big issue in the last few years. 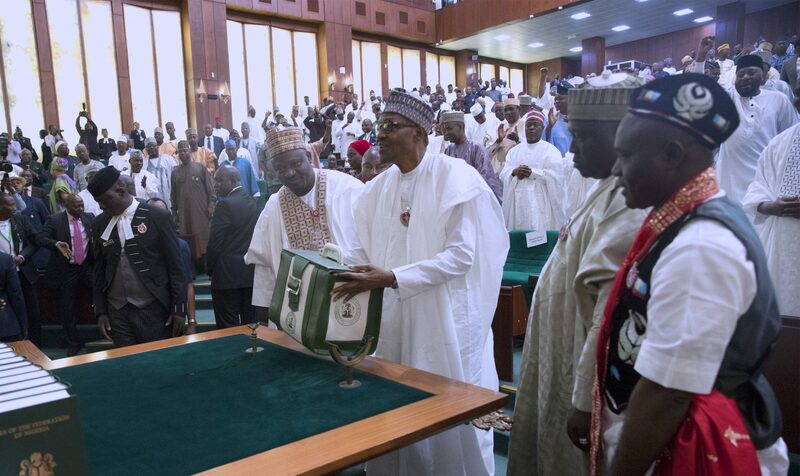 The 2018 budget proposal was laid before the National Assembly on 17th November 2017 and signed into law on 20th June 2019 taking a total of seven months and three days. The 2019 proposed budget was laid before the National Assembly on 19th December 2019. The Fiscal Responsibility Act requires the completion of the Fiscal Strategy Paper by September each year and this has been hardly adhered to. There is the need to adhere to the Fiscal Responsibility Act and present the fiscal strategy paper and budget on or before September every year and ensure passage before the end of the year so as to return to the January- December budget cycle. The budgetary allocation for debt service in the 2019 budget proposal is N2.26 trillion representing 25.6 percent of the proposed budget. This represents the highest share of the budget allocated to debt service since Nigeria’s exit from the Paris Club of debtors in 2005/2006. There is the need for monitoring of Nigeria’s rising debt profile. Process: How was the activities carried out-Procurement process; are the activities happening as and at when due?